No floor space? No problem! 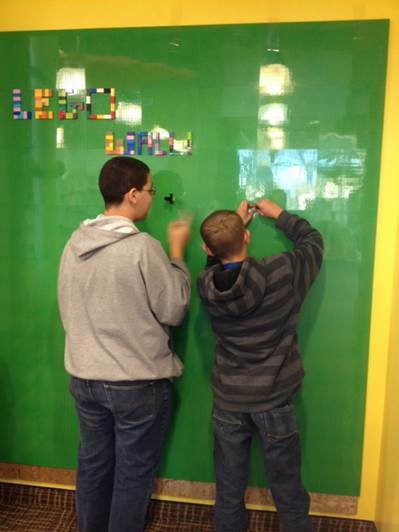 Estancia Public Library has a new makerspace, a Lego wall! They have limited floor space so the librarian, Angela, decided to use liquid nails to attach Lego base plates to the wall. The result is an ingenious, space-saving makerspace for kids of all ages!